Indulge in the aromatic, soothing care of Library of Flowers hand creme. Each bottle features cocoa butter and shea butter to deliver deep skin hydration that soaks in quickly. 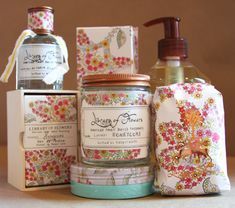 Mountain Flowers stocks a select variety of popular scents such as Linden and Honeycomb.